Mixing that Brown with that White… Not a good idea when drinking… but a GREAT idea when it comes to comedy and late night TV. 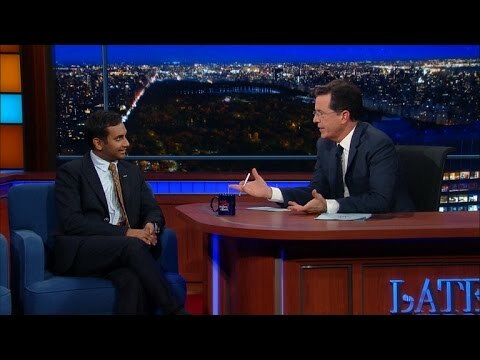 Let the hilarity ensue as Aziz Ansari integrates Colbert’s show. Haaaahahaaa! When Aziz is sitting next to Stephen, 100% of the people on “The Late Show” are from South Carolina, and 50% are not White. That’s progress!